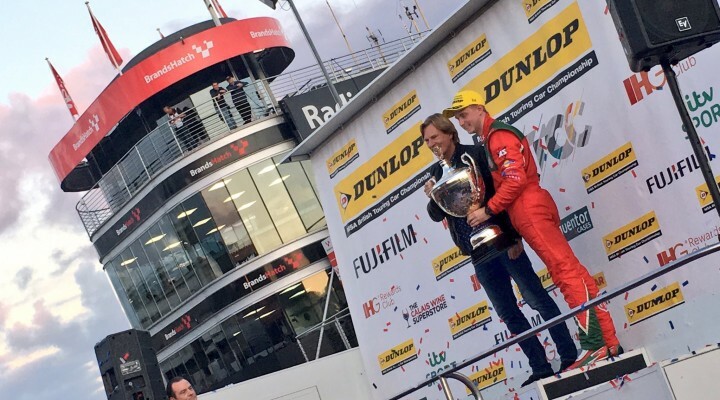 MG Racing RCIB Insurance man Ash Sutton rounded off a stellar maiden campaign in the Dunlop MSA British Touring Car Championship in fine style with overall Jack Sears Trophy honours following last weekend’s Brands Hatch finale. The MG racer came out of the blocks right on the pace in 2016, with pole at the season’s second event, at Donington Park, signalling his intent. Come the end of the Croft weekend, Sutton had garnered a debut appearance on the steps of the rostrum and a first win following a thrilling race three from the North Yorkshire circuit, played out in tricky conditions. The 2015 Renault UK Clio Cup champion spoke of his pleasure at a job well done in this year’s BTCC. “People kept asking me at the start, ‘are all these big names intimidating?’ and my honest answer was always no, they are just stickers on windows. “I was not going to treat the BTCC any differently to any other championship I had been in. Winning the trophy bearing the legendary name Jack Sears, in the year of the inaugural BTCC champion’s passing gave an extra gravitas to the achievement.